This important exposition and seminar now entering the 12th year has grown and developed in to the prime independent convention for all sectors of the gaming industry throughout the whole of Europe and further beyond. Since the inception way back in 2008 the growth and stature of the exhibition and conference has increased beyond all anticipated forecasts and has now become recognized as the pivotal tool for marketing, promotion, and intelligence gathering. 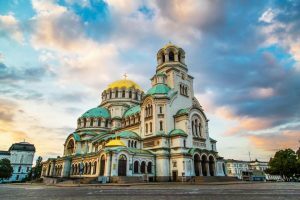 The venue is ideal and in a superb location in Sofia, close to the airports, hotels and the center of the historic city itself. Car parking is available on location and public travel options are first class. Both BEGE and EEGS are designed to cover every aspect of the gaming sphere both for consolidated markets and new jurisdictions, we are proud to have a panel of such distinguished speakers that will cover every topic of gaming related subjects. We have a unique vision and a highly professional team to assist in all aspects of participation. 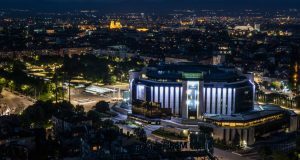 The exhibition and conference are now at the pinnacle of independent events within Europe and have become recognized as such by all media outlets. 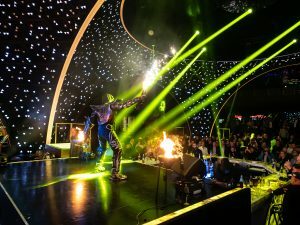 The awards ceremony at the coveted BEGE party this year takes on a new format and will include exciting new categories accordingly, on the first day of the exhibition. At the end of the first conference day the elegant EEGS Meet and Greet party will provide once again an exceptional networking opportunity for all delegates and exhibitors with kind sponsorship of GLI. Let us invite you and your organisation to be at the forefront of gaming and reserve space.Come and join us then for this spectacular opportunity to broaden business relationships and strategic partnerships with key figures from the international gaming community and being host to all new comers and organisations.